2014 has revealed itself as the “Year of the Dark Horse” when it comes to compiling the greatest albums released in the last 12-month span. Tami Neilson, Karen Jonas, Charlie Parr, Matt Woods? Who’s heard of these people outside of their respective fan bases? And meanwhile the realm of mainstream music can’t field one candidate, unless you want to count First Aid Kit who resides on a major American label, while a dark horse from last year Sturgill Simpson leads the pack. But Sturgill shouldn’t be considered a shoo-in. All the candidates listed here have a legitimate stake at the distinction, and wouldn’t be included here if they didn’t. These eight albums will be vetted and consternated over for the next 30 days or so before the final winner will be revealed. Interesting to note, all of these candidates were albums released in the first half of 2014, and many in the first 1/3rd of the year. PLEASE NOTE: Saving Country Music also posts a more-encompassing “Essential Albums List” annually, so just because you don’t see one of your favorite albums on this list doesn’t mean it won’t be up for distinction. Leading the essential albums, and sitting right on the bubble as Album of the Year candidates were Jason Eady‘s excellent honky tonk album Daylight & Dark, Kelsey Waldon‘s brilliant The Gold Mine, John Fullbright‘s Songs, Zoe Muth‘s World of Strangers, Doug Seegers‘ Going Down The River, and Joseph Huber‘s The Hanging Road. Audience participation is strongly encouraged, and will influence the outcome. Leave your opinions, write-in candidates, or other observations below in the comments section. This is not simply an up and down vote though. I make the final decision, so it is your job to convince me why the album you feel deserves to win is the right pick. You’ve never heard of her, and many country and roots taste makers will leave this Canadian-born, and New Zealand-based singer and songwriter off their end-of-year lists from sheer ignorance of her existence. But they may be excluding not just one of the greatest albums and talents of 2014, but of the last half decade. 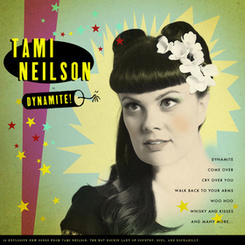 Along with Sturgill Simpson, Tami has to be considered a top contender. “Alright, before we get too deep into this matter, just understand that you’re going to want to be purchasing this album. It’s my job to sit here and gab at you for a while about it and explain why, and I’m flattered that you would entertain this notion and read the proceeding words. But you pretty much just need to get this album and thank me later. “Yeah yeah, dispense with the pageantry and just give give the damn distinction to Sturgill already,” is what many will say, but the album environment in 2014 is too rich to be so flippant with this decision. A front runner? Of course, and we’ve already seen the eager beavers of end-of-year list building engrave Sturgill’s name at the very top before we even sat down to Thanksgiving dinner. But an album not only has to be measured against its peers, but by the abilities of the artist themselves. 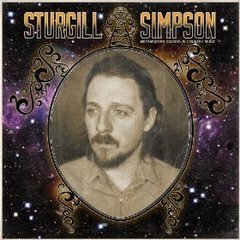 As strange as it may sound, I still believe Sturgill is holding back, and so his place at the very top of 2014 is not secured in the annals of Saving Country Music just yet. We still have a month to weigh its merits against stiff competition. “With ‘Metamodern Sounds in Country Music’, Sturgill Simpson doesn’t just capture our ears, he captures our imaginations. However misguided the notion is, most every disenfranchised country music fan harbors the idea that at some point some true country artist is going to come along that is so good, it is going to tip the scales back in the right direction. What ‘Metamodern Sounds’ does is it gives the true country music listener hope beyond the happiness the music conveys. It resolves that ever-present conflict between sticking to the traditional sound, but progressing forward. The ultimate dark horse in a year of dark horses, Karen Jonas positively stuns and screams for wider attention. “Karen Jonas, whether she knew it or not, heeded the advice of the great Ray Wylie Hubbard to all songwriters: don’t just listen to ‘The Ghost of Tom Joad’, read ‘The Grapes of Wrath’. How do we know this? It’s not just from the wisdom interwoven in the lyrics, it’s from the amount of pain Ms. Jonas is able to capture in her performance. This isn’t just an inflected interpretation, but the very evocation through herself of the troubled ghosts of the story not just wrapping herself in their clothes, but walking a mile in their shoes, and then conveying the pain she knows they felt from the aching of her own blisters. 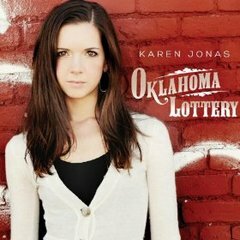 Similar to how the settlers of Oklahoma toiled at the yoke without a thought of rest, Karen Jonas, after putting her pair of young children to bed every night, tip toes to the other side of the house, takes the guitar in hand, and digs, hoping to unearth the riches of song. And lucky for her and the rest of us, the ground that she tilled ended up to be quite fertile, and the result a verdant display of artistic release. This is not a sympathy inclusion, or simply a representation of classic country to add to this list. 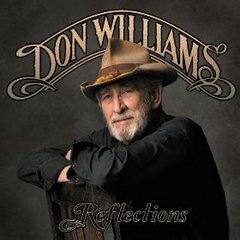 Don Williams has put out a towering album with great feeling and a thematic vision that deserves the highest of praise and the attention younger, newer artists are receiving for their career-defining releases. “‘Reflections’ is much more than just the easy listening country it may appear to be on the surface. It’s an album with a message, and leads by example. Instead of whining about the state of country music, it does something about it. The laid back, gentle-of-mind ease drips from this album like the sweetness of sun-drenched dew. Sometimes it’s simply implied, and other times it’s directly spoken, like in the appreciative and well-written ‘Working Man’s Son’ or the song that ties the entire theme of ‘Reflections’ together, ‘Back To The Simple Things’. Enough can’t be said either about the Townes cover ‘I’ll Be Here In The Morning’. Like when Willie and Merle took ‘Pancho & Lefty’ to another level, Don Williams’ touch on this song immortalized it, and in a different time it would have been a super hit. Destined to be unfortunately overlooked by country fans because of its folksy exterior, Stay Gold is nonetheless a powerhouse performance that only gets better with more spins, and evidences both songwriting and singing brilliance that is ripe for appeal on a grand scale if simply given the opportunity to thrive in the wider American marketplace. It is simply a joyful, uplifting experience to behold, and leaves nothing behind when measured against its fellow 2014 competitors. 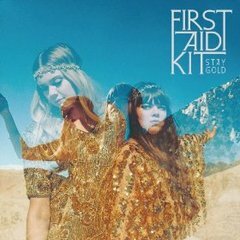 “‘Stay Gold’ captures First Aid Kit fearlessly unburdening their fears, confiding in the listener very personal matters of self-doubt and worry that are exacerbated by a world of constant change, endless travel, and the inherent travails of navigating life as a young woman amongst prying eyes and directionless paths. The honesty in the songwriting, and the sentiment that bleeds over demarcation lines of gender or situation to find sympathetic ears with most who have the patience and disposition to listen make Stay Gold a songwriting feat before any discussion is broached about the music itself. It may be a little to fey for many ears, but Hollandale is the one album of 2014 you can legitimately call a masterpiece. 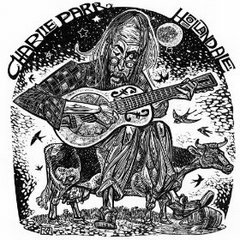 “‘Hollandale’ is like nothing you’ve heard, from Charlie Parr or anyone else, at least not like anything you’ve heard for a very, very long time, and with this amount of body and clarity behind the recording itself. Whatever you were expecting from this album, you are probably wrong, and in its stead you get an in-depth exploration into what it means to be alive, to be human, to feel pain and to yearn and reflect, without a single word being spoken on the entire work. 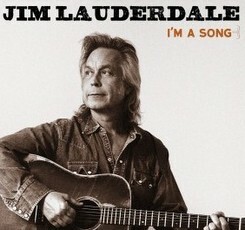 “I’m afraid this album may get overlooked simply because many people think of Jim Lauderdale as a known quantity, and because he’s so prolific, it’s hard to choose where to start with him, or to keep up with all of his releases. But I’m A Song should be considered right there with the other top albums of 2014. “Twenty damn songs, and not a slouch in the bunch, and very country. Though Lauderdale has been known to shift back and forth between bluegrass, country rock, and more subdued, acoustic singer/songwriter-type stuff, this here folks is a downright honky tonk album, not cut, quartered, or diminished with any other additives. How in the hell does Lauderdale do this? Being prolific is one thing, but he’s like a songwriting quasar, shifting styles and still spitting out material faster than you can listen to it, and each song barreling you over with the quality and taste exhibited in every point of the music making process. 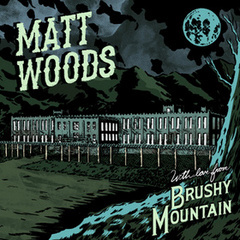 Matt Woods is the last man standing when it comes to earnest songwriters who can barrel you over with emotional haymakers aiming straight for the gut. This is the superlative songwriting performance set to music in 2014. “‘Brushy Mountain’ is as complete of a country album as you will find, with excellent songwriting throughout, a great sound that is country at heart, but with sprouts of rock & roll that endow the project with spice and originality, and there’s something for every mood here. In other words, it lived up to the expectations of ‘Deadman’s Blues’, and even adds a few more exceptional song offerings that downright rival that song’s indelible impact. I have to vote for Whitey Morgan! “Grandpa’s Guitar”. I am a BIG fan. The music, his voice and how hard he has been working for the last 15 years all sums up why he deserves Country Music Album of the year. His songs ooze Waylon and Merle and some of the other ‘real’ and great old country singers. He rocks out on the faster honky tonk/outlaw country tunes. He knows how to play his guitar and he has the best band right now that he has ever had.